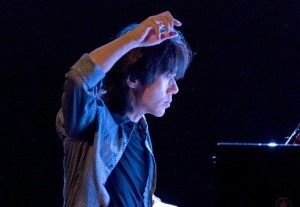 Taka Kigawa is to play all of Pierre Boulez's solo piano works. If anything can cut through the late-August humidity, it’s the bracing music of Pierre Boulez, the doyen of complexity and kaleidoscopic colors. Taka Kigawa, a gifted and daring pianist who specializes in 20th-century and contemporary music, takes on not just some Boulez, but all Boulez: the complete solo piano works, at least, which stretch from the 1940s to the past decade. The program on Monday will include “12 Notations,” “Incises,” “Une Page d’Éphéméride” and all three sonatas, including the fearsomely difficult second, from the late ’40s, with which the pugnacious Mr. Boulez, now 89, aimed to destroy the traditional sonata form. “Sigle,” a rarely performed fragment associated with the third, will be a treat for completists.